At TrustMor, we straightforwardly tell you all you need to know, when you need to know it. We do what we say when we say we’ll do it. We’re there for you when you need help, answers and advice.  You can trust us to always make your interests our first priority, and to make the complex mortgage lending process as simple, speedy, painless and glitch-free as humanly possible. If you’re looking to buy, or refinance, any commercial property, please give us a call, so we can put those values to work for you.